OneLife OneApp – access information on the go! OneLife OneApp: Life just got mobile! As part of its digital transformation, OneLife provides fast and effective services to simplify and facilitate the life of its clients. That’s how OneLife OneApp was born, to help you stay connected anytime anywhere. Stay informed on your life assurance policies, track all your operations, know straightaway if information is missing … and you can follow us on LinkedIn and share and comment our news. “The OneLife OneApp is a real tool in helping you stay connected on the go. It’s simple and intuitive and gives you access to all the information you need on your policy when you need it”. The Best of OneLife OneApp! The OneLife OneApp gives you round the clock access to your portfolio information. You can consult your portfolio valuations and policy details for your OneLife contracts quickly and easily. Keep a track on the status of your policy operations and monitor progress on open transactions. 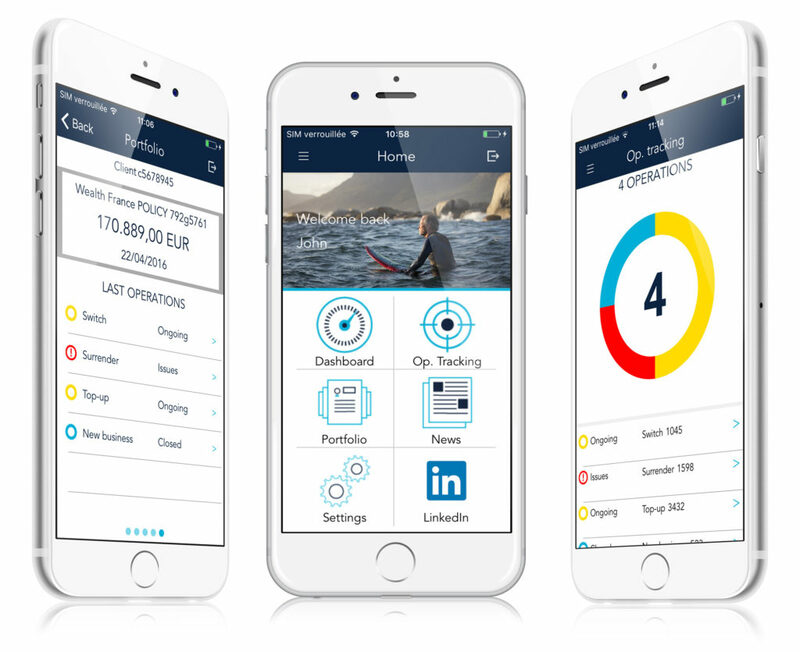 “OneLife is a digital pioneer with the App providing real added value to the business relationship we have with our partners and clients”. Here, you can find the operations in progress for the various policies. You can also see other items like the list of missing documents and any comments from the OneLife Customer Services team. Don’t forget that all data on the App is fully protected by our encryption and monitoring technology. There is no personal client information stored on the App. All other data is protected through encryption. How can I get OneLife OneApp? To access, you just need to download it from the AppStore (Apple) or GooglePlay (Android) via your smartphone.